You can’t fault Jaguar’s logic. An increasing number of drivers are making the switch to electric cars, while global EV sales rocketed by 58 per cent last year. We also love our SUVs, with worldwide registrations likely to hit a whopping 24.3 million a year by 2020. What better market to break into than the relatively vacant electric SUV one? 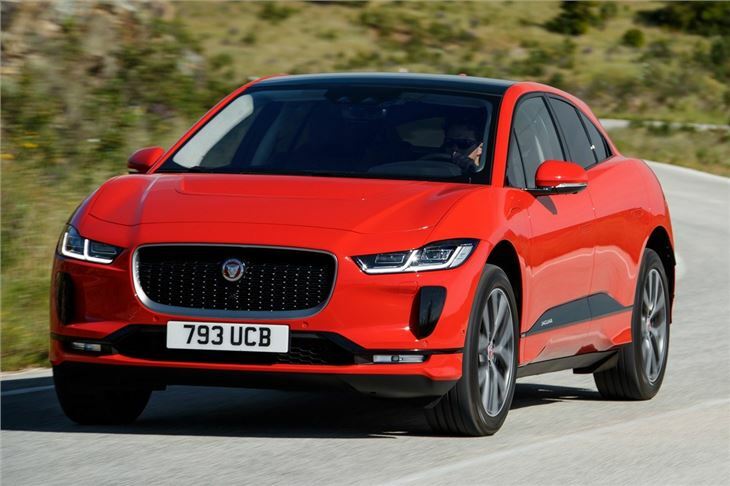 The Jaguar I-Pace boasts some impressive stats. 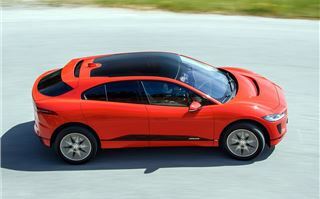 As well as being more practical than most electric cars on the market, two electric motors produce 400PS and take it to 62mph in 4.8 seconds. The range is quoted at 298 miles under the new 'real world' WLTP fuel economy tests - enough for most journeys and almost far enough to rival petrols and diesels. 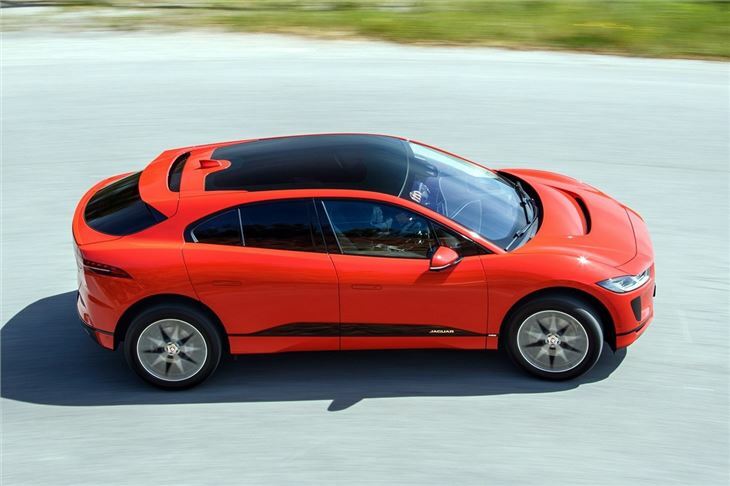 While the I-Pace is a clear departure from Jaguars of old, the brand says it’s traditionally appealed to enthusiastic drivers. 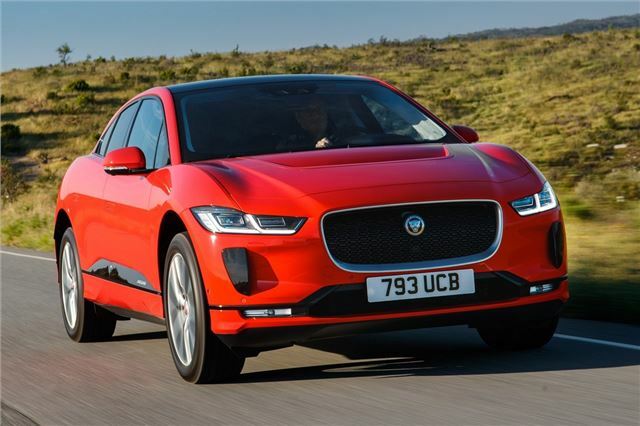 That’s set to continue with the I-Pace, as engineers have spent many hours on test tracks perfecting the electric SUV. The manufacturer even invited us to drive the I-Pace on track during its international launch in Portugal. Owners aren’t going to take the I-Pace on track, but it’s a good demonstration of how well body roll is contained and how the instant torque provided by the two electric motors (one for each axle) makes for speedy acceleration - so speedy, in fact, you have to be careful not to accelerate too early when exiting a bend or the car will run wide. At 2133kg, the I-Pace is heavy, but batteries located under the floor contribute to an extremely low centre of gravity - 130mm lower than the F-Pace, in fact. Out on the road, the weight is fairly well hidden, although it does thump slightly over broken surfaces - it's not too harsh, but it's noticeable - even when fitted with the optional air suspension of our test cars. One clever feature provided by the electric motors is the ability to select different levels of regenerative braking. This means that, when you lift off the accelerator, the car automatically slows down, transferring energy back into the battery. In its most extreme mode, you can resort to single-pedal driving. Without the driver touching the brake pedal, the car will slow down enough for most situations (illuminating the brake lights at the same time). It takes a little while to get used to, but it does make for relaxed driving, and can even bring the car to a complete stop in traffic. The I-Pace is equally impressive off road as it is on it and on track. 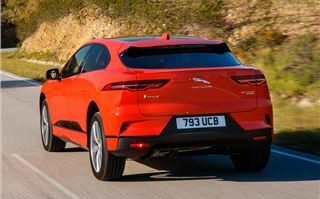 Again, few I-Pace drivers are going to venture into the wilderness, but we took the Jaguar places that would be impressive even if it had a Land Rover badge on the front. That low centre of gravity helps, as does the instant torque provided by the electric motors. 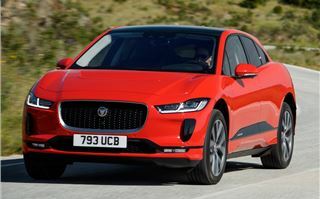 The I-Pace’s electronic systems can also divvy up torque to wherever it’s needed practically instantaneously, reducing the chances of getting stuck. 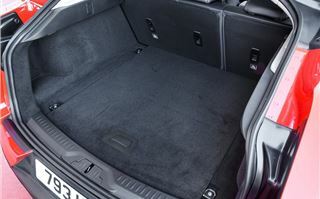 The optional air suspension also features a higher off road mode. If you wish to go wading, the I-Pace is capable of travelling through 500mm of water. Rattles aside, the interior is very premium and modern. There’s a clever floating centre console, while the lack of a conventional engine means there’s plenty of space in the front and rear for even the tallest of drivers and passengers. 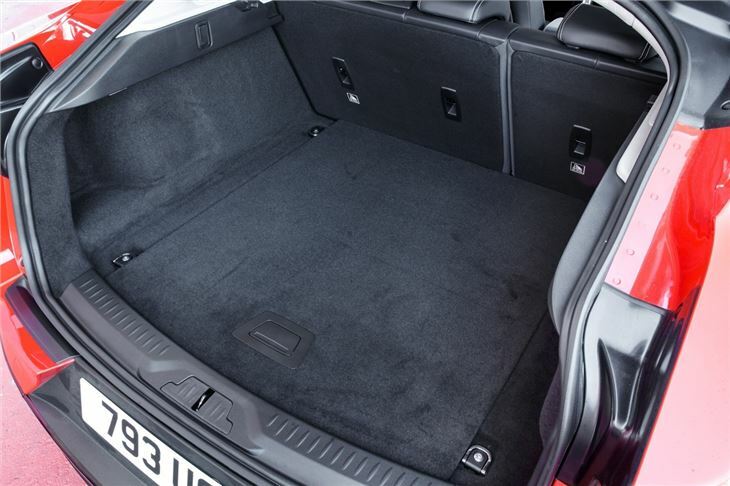 Batteries don’t eat into interior space too much, although the boot is fairly shallow and the rear seats don’t fold entirely flat. 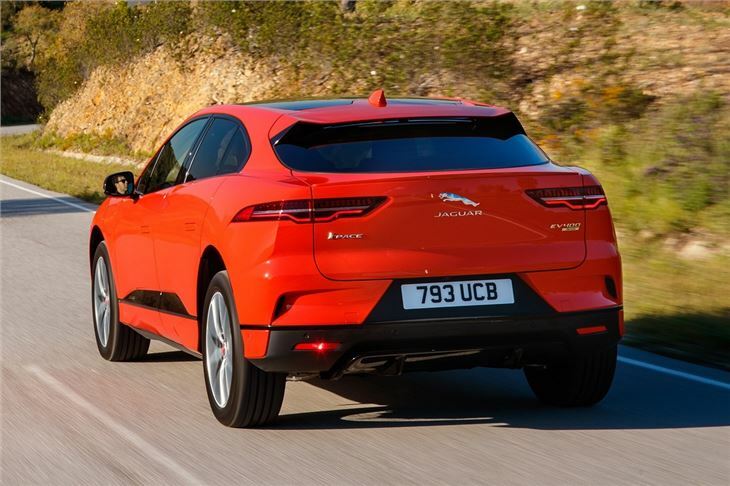 The I-Pace uses Jaguar's Incontrol Touch Pro Duo infotainment system previously used in the Range Rover Velar. For the first time in a Jaguar, it also includes Apple CarPlay. While it’s still not quite as slick to use as some premium manufacturers’ systems, everything in the two-screen display is easy to find. The clever navigation system learns your driving style and takes into account weather conditions to accurately estimate range at certain points on your route. So, should you buy an I-Pace? Possibly. 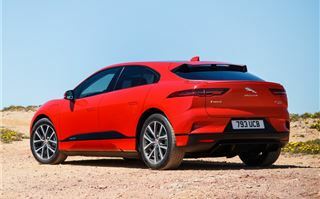 It’s staggering that Jaguar’s beaten other premium brands to launching a Tesla-rivalling electric car. And for now the I-Pace can enjoy having the market pretty much to itself. 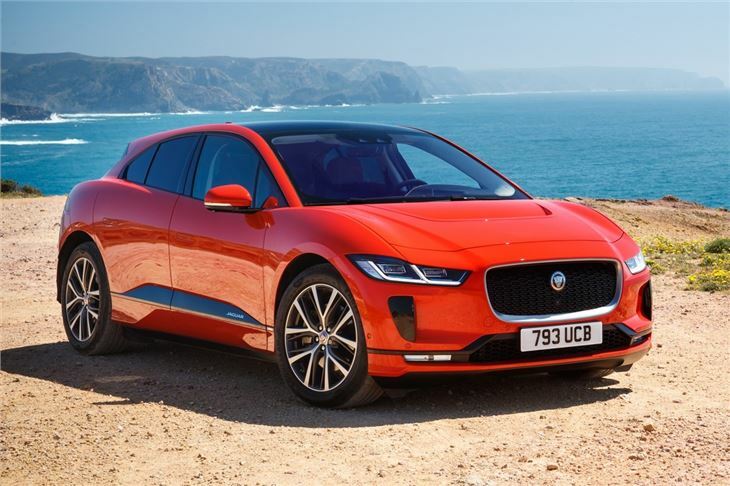 The Jaguar drives well, is comfortable, offers lots of space and really requires little compromise if you’re buying one as your first electric vehicle. The fact that you can use this just as you’d use a petrol or diesel SUV is a massive plus point. If you’re thinking of making the jump to electric, you may wish to wait until Audi’s new e-tron SUV arrives later this year. Jaguar might have got there first, but if the e-tron combines a typical Audi interior with lots of tech and a useable electric range, it might give the Jaguar a hard time. The Jaguar I-Pace is on sale now in the UK.